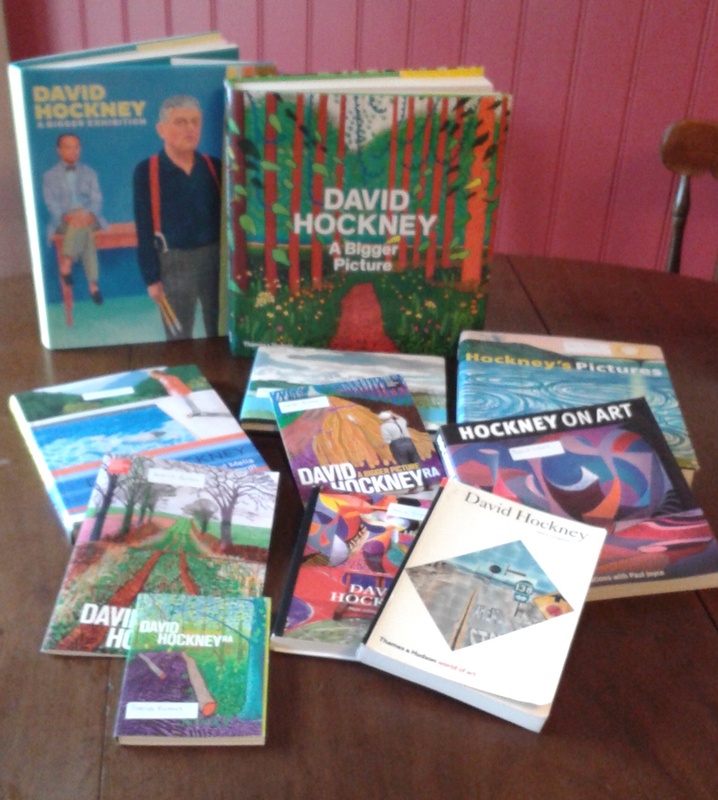 A selection of David Hockney books were available to browse. 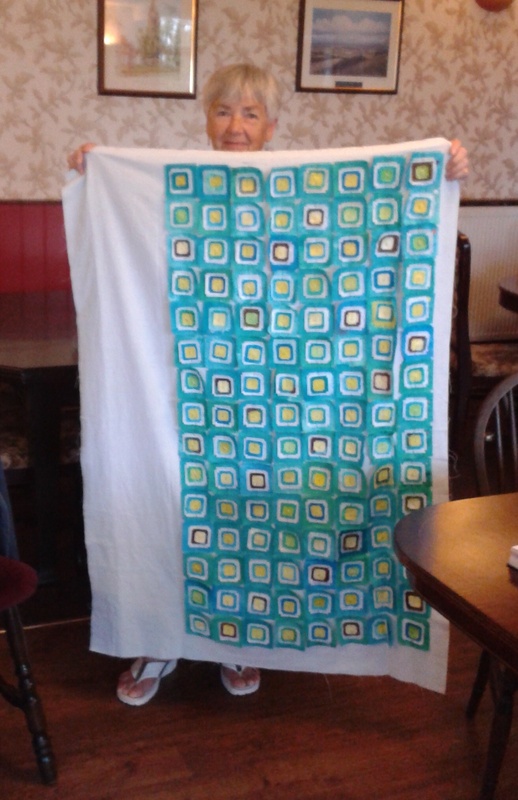 Yesterday saw the first meeting of LINQS, the Lincolnshire Quilters group which is responsible for the David Hockney Challenge. The challenge is open to anyone living in Lincolnshire. 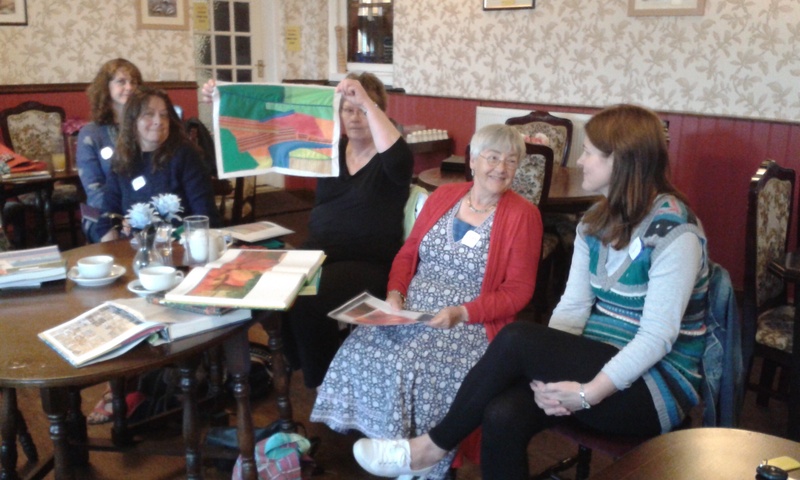 15 ladies turned up for our first get together at The Coach and Horses in Billinghay and to quote Mary “there were no shrinking violets”! It was a lively session with lots of ideas, enthusiasm and encouragement. Work in progress….it’s easy to see the Hockney influence in this colourful mini quilt. Several of us took along quilts we have already started, while others were keen to talk through the ideas that they have in mind. 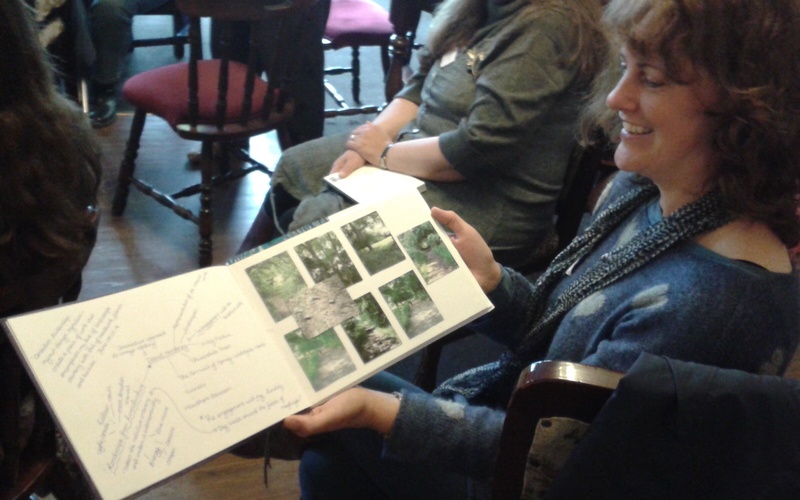 Some of the members also brought their copies of various David Hockney books for the rest of us to browse. Unfortunately the photograph below doesn’t do justice to the wonderful piece of work this lady is creating. The influence here is the colour and movement that Hockney displays in his work as the small, individual pieces of layered fabric gently ripple. Work in progress….the influence here is the colour and movement that Hockney puts into his work. Fiona has been taking photographs of the local landscape while out walking her dog. She has pasted these into her sketch book with notes of how Hockney might interpret these scenes if he were to make a quilt. This is the sort of thing I always tell myself I should be doing…..I just need to start doing it!